Dan finally got his Starbucks Gold Card! I feel like there are a lot of people out there who don't know about it so I thought I would share. If you're addicted to Starbucks like me then you should have a Gold Card in no time. First you need to get a Starbucks gift card and register it online. You need to start paying for drinks strictly with your card. It is also a great way to budget.....those drinks can add up fast :) Each transaction will earn you a star. After you have 30 stars you will be mailed a personalized gold card - you reload that and use it as a gift card. Once you reach gold card status: for every 15 stars you earn, Starbucks will mail you a coupon for a free drink. You also receive a free drink on your birthday, 10% off most purchases, free refills on coffee and tea, no additional cost for syrup, and some other perks. For all the details check out their website: https://www.starbucks.com/card/rewards. 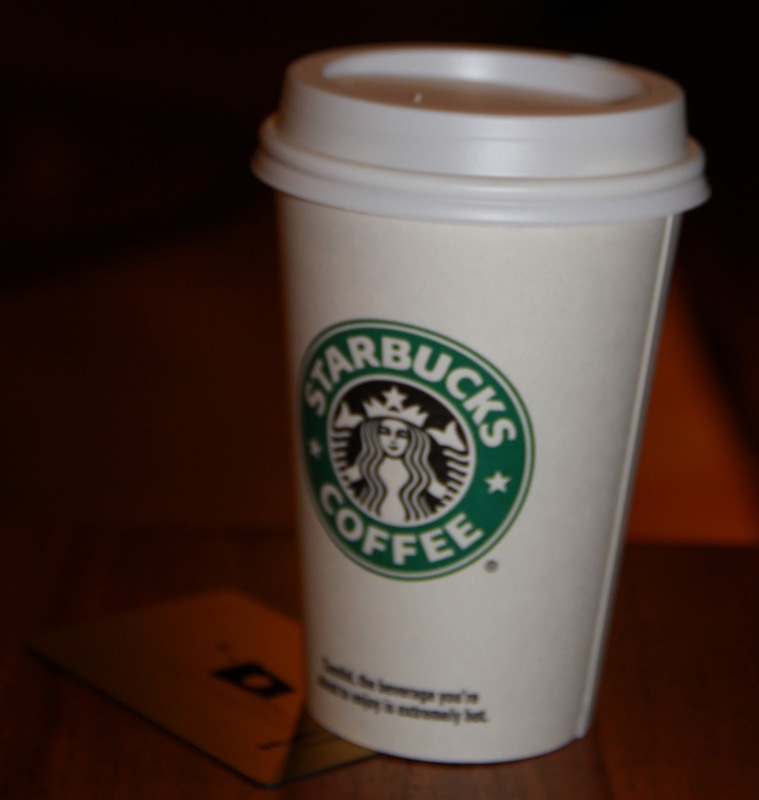 It's free and easy to do and if you're going to Starbucks anyway, you might as well start earning some rewards! Thanks for the tip! I have a few favorite gift cards from Starbucks. I'll have to pick one and start using it. Well your post was definitely for me as I've never heard of the gold card. I'm a coffee lover whether it be Starbucks or the home town coffee shop. I'll look into this. This is a great tip. I've never heard of it and know more than a few friends who probably need one!